The color payoff is pretty awesome, what you see is what you get. 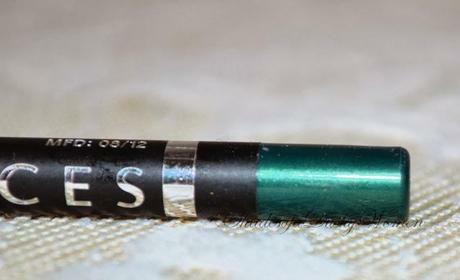 The other thing I love about it is, how intensely pigmented they are. One swipe is all I need for a uniform application. 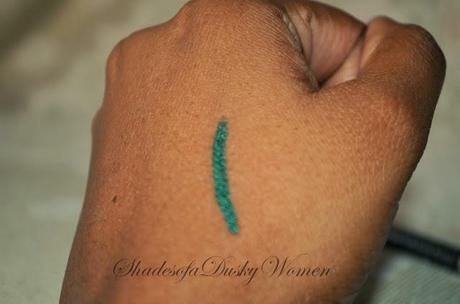 The consistency is pretty smooth and applies without tugging on the skin and feels comfortable to wear. I even used it as an eyeshadow and it came out great. It didn't flake or crack on my lids. It did kinda come off when I tried layering it. It lasts for at least 8 hours. I say this because after this time frame I loose track of it as I get caught up with my son. This applies to other product reviews as well. So mostly I just mention the minimum time it lasts. If you are not one of those people who frantically rub their eyes or touch them often, then it is going to last really long. Well, if you aren't, then it is gonna fade. It doesn't fade when you splash water on your face and eyes and you all you need to do to preserve it is to just gently dab away the moisture. 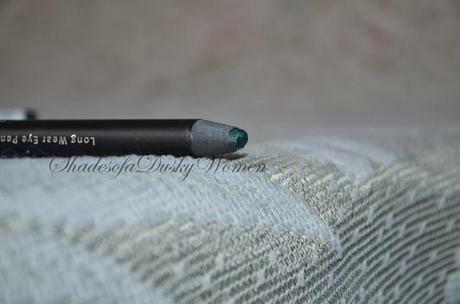 It does feel comfortable generally, but when I use it on my waterline I really start to hate this product. It feel like something is stuck in my eyes and need towash it away asap. I wouldn't recommend using them on the waterline for this reason. The other major issue that puts me off is, that it doesn't sharpen well. 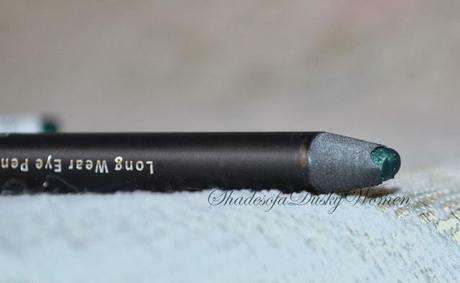 The tip breaks off as its too soft and the plastic casing of the pencil scratches by eyes if the tip isn't fully there. The price is affordable but it's not the most affordable one as their are other brands like Maybelline which are priced much lower than this one. 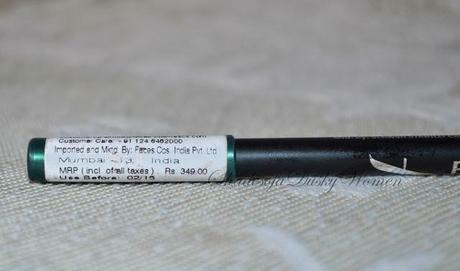 The price has been jacked up to Rs350/- from Rs250/-. That does tug at the Inner-Stingy-Diva in me, but considering the performance of this product the price isn't that overboard. Pros: Affordable. Excellent color payoff. Super pigmented. Applies smoothly. Stays long. Doesn't cause irritation. Cons: Not suited for waterline. Doesn't sharpen too well. Verdict: In love with the product's performance and price. Will get more shades from this range.